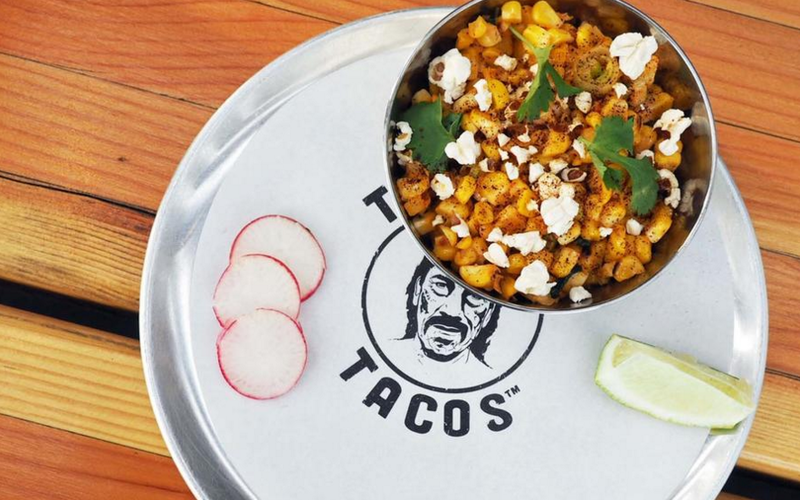 Known for roles in such movies as “From Dusk til Dawn” and “Machete”, Trejo is now throwing down at his chance in the food and beverage industry. 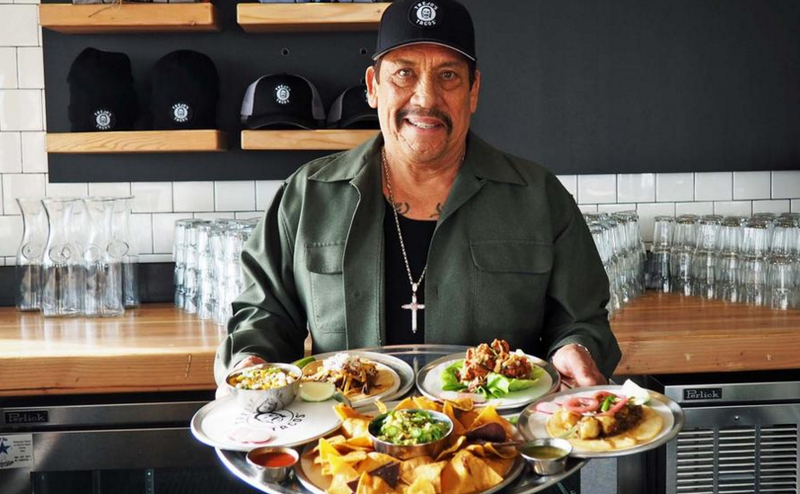 “We have 10 different tacos,” said Trejo. “It’s just stuff that everybody likes.” Simple as it sounds, the red and green salsas are fermented in-house, there’s an organic chopped kale salad on the menu, organic “super rice” made with quinoa and brown rice, and something called a “sneaky” quesadilla for the kids, farmers market greens and a three-cheese blend. But it’s not all vegetarian, there’s also a fried chicken taco that comes in a lettuce cup instead of a tortilla and a shredded beef taco. 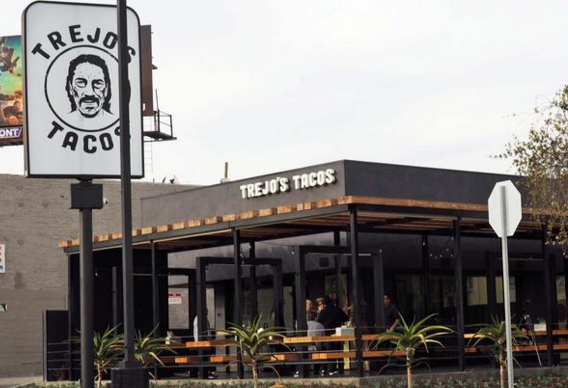 Located at 1048 La Brea Avenue near Olympic Boulevard, “Trejo’s Taco’s” is the new vegan taco restaurant owned by actor Danny Trejo, Ash Shah- film producer, and Jeff Georgino. “Here, we wanted to include everybody, so we have a great vegan menu and gluten-free menu,” says Trejo. 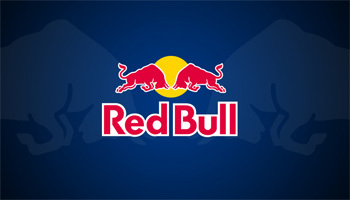 “We try to be as vegan and vegetarian-friendly as possible, considering it’s such a big movement now,” adds Shah. If there are any leftovers after the restaurant stops serving, it gets donated to one of the local homeless shelters. To quench your thirst, there’s a rotating list of seasonal aguas frescas, house made date-sweetened horchata and kombucha on tap. Also on tap is Trejo’s own Cerveca, brewed in the Arts District downtown. Next article50 CENT VS MEEK MILL LET’S GET READY TO RUMBLE!